From famous hotels near well-known attractions to quiet country hideaways, Tennessee offers many great options for a fun weekend getaway. 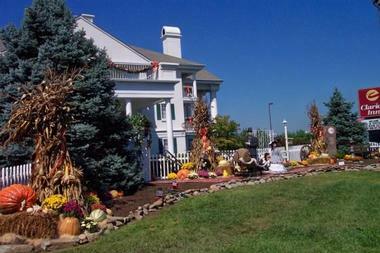 Great places to visit in Tennessee for couples include Chattanooga, Nashville, Pigeon Forge, Gatlinburg and Knoxville. Couples can check into a cozy inn with romantic rooms, relax at a spa and savor delicious farm-to-table cuisine on their Tennessee vacation. 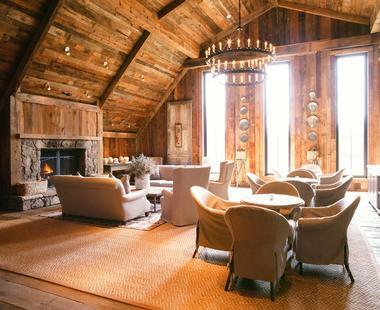 Nestled in the heart of the Great Smoky Mountains, Blackberry Farm stretches over 9,200 acres of idyllic land and provides its guests with luxurious accommodation and five star service. The resort is famous for its innovative farm-to-table cuisine artfully orchestrated by the chef, the master gardener, the baker, the cheese maker, the chocolatier, the sommelier and other staff. Stay in one of the lovely estate rooms, in a fashionable hill cottage equipped with state-of-the-art technology, or a spacious house with a full kitchen that is perfect for a family vacation. The working farm and brewery that are a part of the estate add to the pastoral ambiance, and put quality ales and fresh vegetables on your plate on a daily basis. If you are looking for Tennessee vacations with spa services, the hotel wellness center is not to be missed. Located in its own building, the spa offers a diverse choice of seasonal treatments, fitness facilities and plush relaxation spaces. Nightly rates start at $745, including three meals daily, all snacks and non-alcoholic beverages. The Peabody Memphis is itself one of the city's biggest attractions, offering stylish décor, the Peabody Galleria shops, pool and elegant dining. Many travelers visit the Peabody just to watch the legendary Peabody Ducks march to the fountain in the lobby from their Royal Duck Palace, a $200,000 marble and glass structure on the hotel's rooftop. The hotel has 464 guess accommodations, some located on the exclusive Peabody Club floor with private access and complimentary drinks and snacks all day. Choose from Junior Suites, romantic Romeo and Juliet Suites, and pet friendly rooms. Luxury facilities include an indoor swimming pool, a full-service spa and salon and great restaurants. The Chattanooga Choo Choo Hotel is located in the old Terminal Station, offering some of the most interesting themed accommodations, as well as plenty of things to do. Choose from rooms, suites and 48 authentic Victorian train cars. The suites are equipped with king size beds, loveseats, Jacuzzi tubs and wet bars, while the interior of the beautifully restored train cars will make you believe you actually went back in time. Children can have fun riding the Chattanooga Choo Choo Trolley, while grown-ups work out in the fitness room, shop, stroll through the gardens, and relax next to one of the hotel pools. The Chattanooga Choo Choo has its own Business Center and a guest laundry facility. Gardens Restaurant serves a great breakfast buffet, while the Silver Diner combines a unique train car atmosphere with delicious quick meals. Eagles Ridge Resort is the perfect place for both romantic and family getaways that offers great accommodations surrounded by breathtaking nature. The resort consists of 233 uniquely furnished cabins with up to nine bedrooms, all equipped with kitchens, internet access and game rooms. If you are traveling with your family pet, you can request one of the pet-friendly cabins. If you would like to spend some of your time socializing family and friends, Eagles Ridge has a year-round clubhouse. The outdoor swimming pool has a deck that you can use to make the most of the beautiful sunny days. 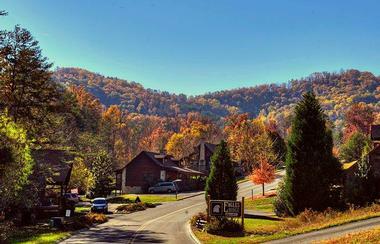 The Lodge at Buckberry Creek is an all-suite hideaway surrounded by the beautiful Smokies in Gatlinburg, Tennessee. The lodge offers three different types of suites: Grand, Gallery and Lodge suites. From smaller Lodge suites with romantic sitting areas to luxurious Grand suites that cover an amazing 900 square-foot surface, the lodge is equipped with anything you might need to enjoy a relaxing vacation. There is a lovely pavilion located right alongside the creek, which will help make your leisurely strolls around the premises even more enjoyable. The lodge’s restaurant will certainly add to its rustic and warm atmosphere with its friendly staff and a variety of delicious meals prepared using fresh local ingredients. Evins Mill is a resort that boasts of a wide range of interesting activities, as well as of reconciling luxury with the intimacy of country life. The twelve Creek Side rooms feature private covered decks from which you can savor the view while listening to the sounds of water rushing down. If you prefer something even more luxurious, reserve a room in the Solstice and lay down in a reading nook in this private lodge overlooking the whole resort. Children can head to the game hall featuring billiards, puzzles and board games. Check out the resort’s eclectic collection of books which you can read on one of the charming covered decks. The restaurant at Evins Mill serves breakfast, lunch and dinner. Rooms start at $295 per night. Located in the very heart of Chattanooga, The Read House Historic Inn and Suites is a hotel that successfully combines the city’s rich history with modern conveniences. There are 235 beautifully furnished guest rooms, including connecting, hypoallergenic and accessible rooms, as well as rooms with sitting areas. If you want to make your stay an active one, you are free to use the hotel’s fitness and business centers, but the Read House Historic Inn is a place of relaxation as well. Spend an afternoon at the luxurious spa, take a walk in the beautiful fountain courtyard, lie down on the outdoor sun deck or take a swim in the indoor pool with a cascading waterfall. In the evening, dine on award winning dishes served in the Porter’s Steakhouse. Rooms start at $129 per night. Spacious, comfortable and located in the heart of the Great Smoky Mountains National park, Deer Ridge Mountain Resort will prove to be the perfect choice for both newlyweds and groups looking for a fun outdoor getaway. 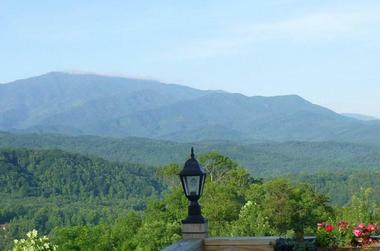 You can choose to stay in one of the condominiums, or rent a secluded Smoky Mountain cabin. Both one and two-bedroom condos have fully equipped kitchens, private balconies, and some have lofts. The resort’s main building features a comfortable Lobby Lounge, an indoor pool and sauna room with a beautiful sun deck, and a coin-operated laundry room. Facilities include a playground, grills, picnic tables and tennis courts. Nearby attractions include the Bent Creek Golf Course, Ripley’s Aquarium, Dollywood theme park and Ober Gatlinburg Ski Resort. Rooms start at $238 per night. The Chattanoogan is a hotel that boasts of elegant and spacious interiors, great facilities, top-of-the-line service and breathtaking views. You can choose from 199 comfortably furnished guest rooms, Courtyard and Mountain View suites, and the luxurious Chattanoogan suite. Each of them has been designed to make guests feel at home. 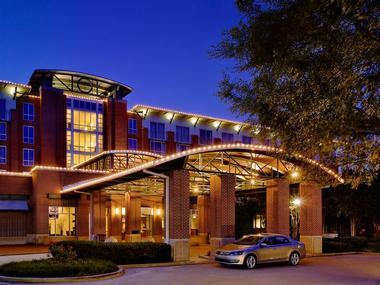 The Chattanoogan features a state-of-the-art business center, an outdoor firepit and valet parking. For those who want to remain active, there is a fitness center with cardio equipment, steam and sauna rooms, an indoor pool and a locker room, but you also don’t want to miss visiting the hotel’s luxurious full-service spa. For a great dining experience, make sure to visit one of the three hotel restaurants. The Broad Street Grille specializes in delicious local cuisine, the Foundry lounge offers tempting quick meals, and the Stroud’s Sidewalk Café is the place where you can sample some of the best sandwiches and salads in the area. Rooms start at $170. The Inn at Fontanel is Nashville’s luxurious four-star hotel featuring an impressive 2,700-square-foot deck that overlooks lush gardens and the beautiful Porter’s Pond. Choose from a variety of guest rooms and six suites, the décor of which has been inspired by the farmhouse style typical for Middle Tennessee. The dining room, kitchen and living room, that are all a part of the hotel’s Great Room, feature soaring ceilings and huge windows. 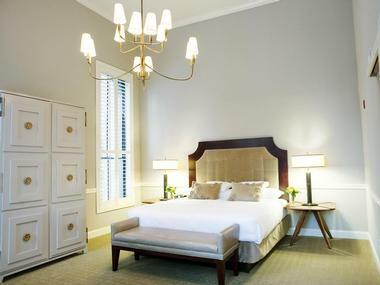 The Hermitage in Downtown Nashville is a five-star hotel dating back to 1910, and manages to combine the very best of Southern tradition with the luxury of contemporary life. With an average size of 500 to 650 square feet, the 122 rooms and suites have been completely renovated, and special care has been taken to prevent them from losing their old-fashioned charm. All rooms feature marble bathrooms, elegant vanity tables and elegant décor. The Presidential Suite is a 2,000-square-foot apartment with a gorgeous view. The hotel’s massage therapy suites are the perfect place to unwind after visiting the spacious fitness room that is equipped with everything you might need for your workout. The hotel also features Rachel’s Boutique and a garage with valet parking. The Capitol Grille serves dishes prepared using only the freshest ingredients. Rooms start at $379 per night. The Butterfly Hollow, a one-of-a-kind bed and breakfast located in the Cumberland Plateau foothills, is the perfect place for those who dream of beautiful vistas, charming porches and luxurious rooms. 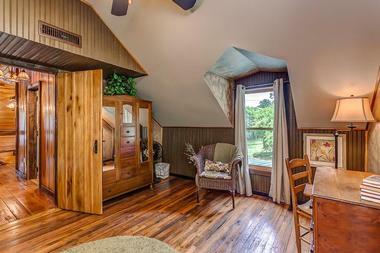 There are three private bedrooms, each with its own adjoining baths. The largest one is Leyton’s Porch, a room that is perfect for couples, especially because of the queen-size cedar log bed and a private screened-in porch. Take a dip in the hot tub or let your imagination run wild with the help of a good book and a gorgeous view from the covered porch. The healthy and savory breakfast will make a good start to a day filled with adventure. The Butterfly Hollow is 82 acres of secluded land where you will find a wide range of outdoor activities. Rooms start at $139. Situated in the very heart of Knoxville, The Oliver is a luxurious hotel famous for its eclectic style and Hollywood clientele. It offers 28 different rooms and suites, furnished to reflect the city’s rich culture. The interiors feature handcrafted furniture and local artwork, and are equipped with everything you might need to make the most of your stay, such as separate sitting rooms, luxurious tubs and walk-in showers. The Peter Kern Library adds to the hotel’s charm, and is the perfect place to unwind if you love sitting in front of a fireplace while sipping your drink. When you get hungry, there is the fantastic Tupelo Honey Café, an award-winning restaurant with an innovative menu offering everything from fried chicken to catfish. It features a lovely open terrace with a view of the Market Square. Rooms start at $160 per night. Located within walking distance from Nashville’s biggest attractions, Loews Vanderbilt is a hotel that offers premium service in an interior that is a combination of retro design elements and clear modern lines. Accommodations include 340 guestrooms and 14 gorgeous suites. The 750 square-foot Executive suite features a dramatic view of Nashville’s skyline, while the Vanderbilt suite has its own stylish dining room. 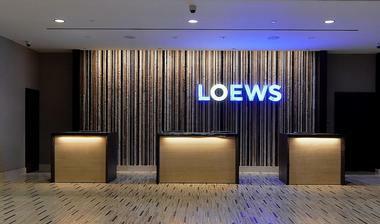 Visit the Loews Vanderbilt gift shop and work out at the fully equipped fitness center. For a superb dining experience, reserve a table at Mason’s, an elegant restaurant that uses traditional recipes to create original and savory dishes. If you crave a steak, head to the popular Ruth’s Chris Steak House. Rooms start at $339. 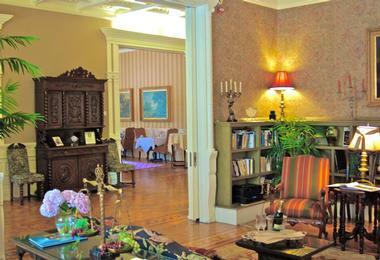 Built in 1889, Mayor’s Mansion Inn in Chattanooga is a charming B&B with eleven cozy rooms featuring private baths and uniquely styled interiors that reflect the site’s long and rich history. If you are planning a romantic getaway, ask about the Laurel Falls Honeymoon Suite with its 250-gallon marble tub. The Cloudland Canyon Suite will appeal to fans of the French provincial style. After the delicious complimentary breakfast prepared by the inn’s experienced chef, take in the view from the lovely terrace, walk along the Cumberland Trail, or climb the Sunset Rock. If you decide to visit some of the attractions in the area, don’t miss the Tennessee Aquarium, Rock City Garden, Ruby Falls or Lookout Mountain. Rooms start at $139. Staying at the General Morgan in Greeneville, an inn that has been welcoming guests for over a century, provides you with the perfect opportunity to explore Tennessee’s rich history in style. Each of the 51 guest rooms has been designed to make your stay as relaxing as possible, which is why they all feature top quality bedding, plush duvets, individual air-conditioning control and top-of-the-line room service. If you want to treat yourself to something special, choose the Morgan Suite and its oversized windows, high ceilings and an elegant sitting area with a fireplace. Dining at the Brumley’s Restaurant and Bar will prove to be as unforgettable as your stay at the inn, especially thanks to the interesting twist that has been added to the traditional Southern American dishes. Apart from that, the innovative menu also includes meals inspired by comfort food, the sight of which will surely make your mouth water. Rooms start at $100. The Carnegie Hotel and Spa in Johnson City is a Four Diamond property that will win you over with its luxurious Baroque décor, impeccable service, a variety of amenities and activities. There are 128 rooms and 11 suites, decorated to match the air of luxury of the rest of the hotel. Crisp sheets, plush pillows and large soaking tubs will delight you at least as much as the natural light and beautiful views. For those who want to stay in shape, there is a fully equipped fitness center. The Carnegie has a spacious full-service spa and an indoor heated pool, providing guests with year-round relaxation. The staff of the award-winning Wellington’s Restaurant will make sure that you leave a satisfied guest. Rooms start at $130. Settled in the picturesque Great Smoky Mountains area, the Clarion Inn Willow River in Sevierville welcomes you with famous Southern hospitality while letting you catch a glimpse of its rich past. The inn has 89 spacious guest rooms with sleeper sofas and private balconies with breathtaking views of the surrounding nature. 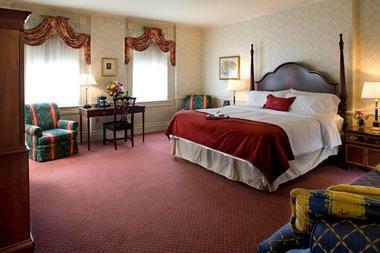 The suites are elegantly furnished with an air of a country residence, complete with fireplaces and whirlpool tubs. 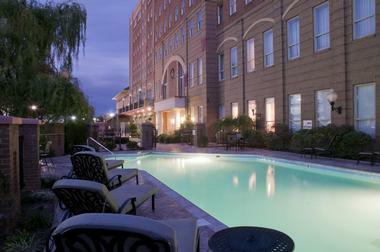 Facilities include an indoor pool, outdoor pool and hot tub. 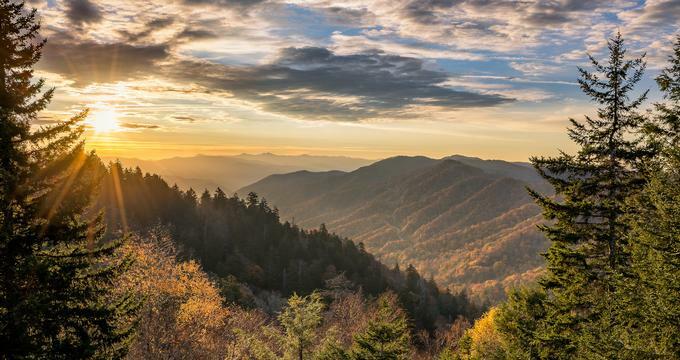 You will be close to many popular Tennessee attractions, including Great Smoky Mountains National Park, Dollywood theme park and Tennessee Aquarium. Rooms start at $55. Music City Loft in Nashville offers a selection of uniquely styled lofts that are located in an old printing press close to Nashville’s biggest music gems. The 16 lofts have been designed to meet the needs of every traveler, ranging from romantic one-bedroom lofts to arrangements for groups over 50 people, all featuring hardwood floors, soaring ceilings, brick walls and plenty of natural light. Each loft has its own kitchen equipped with all the utilities you and the rest of your group might need. To make your stay as comfortable as possible, each has been equipped with a laundry room as well. While the rooms themselves are enjoyable enough, you will only need to take a short walk to get to The Ryman Auditorium, Honky Tonks, and The Country Music Hall of Fame. 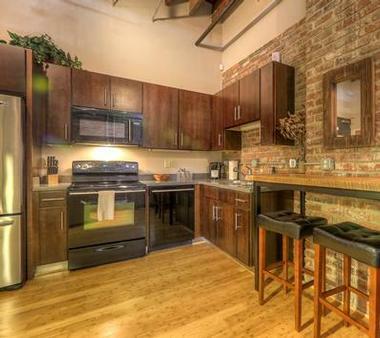 Lofts start at $250 per night. Lookout Mountain is one of Chattanooga’s most popular attractions where you can visit an enormous cave and see Ruby Falls, America’s largest underground waterfall. Ride to the top on the Incline Railway and enjoy the thrilling zip-line adventures. The 90 minute Chattanooga Sidewalk tour gives first-timers a good historical overview of what the city has to offer. Afterwards, you can visit the Bluff View Art District where Hunter Museum of American Art is located or opt to go antique shopping at Knitting Mill Antiques. The children will enjoy a visit to Creative Discovery for hands-on learning, or the Railroad Museum, while Maclellan Island, Tennessee Aquarium and Chattanooga Zoo are also very popular. The whole family can enjoy a trip on the Southern Belle Riverboat and you should not leave without seeing the Walnut St. Bridge, the world’s longest pedestrian bridge, at the Tennessee Riverpark, which is also a great place to go walking, hiking or boating. The city is home to a diverse selection of romantic restaurants. Pigeon Forge, nestled at the foot of the Great Smoky Mountains in eastern Tennessee, is hard to beat for a weekend of great family entertainment. The fun starts as you set foot in Dollywood, a family theme park owned by Dolly Parton, which has numerous exciting rides, lots of musical events and the exciting Dixie Stampede Dinner. The Titanic Museum, built in the shape of the ill-fated ship, offers a fascinating 2 hour self-guided tour to give you an idea of what shipboard life was like. At Hollywood Wax Museum you can pose with two floors of wax figures of famous Hollywood celebrities, before visiting the Elvis Presley Museum to see hundreds of items of Elvis memorabilia. The Smokey Mountain Zip Line and Canopy tour has adventures for both beginners and experienced riders, while The Old Mill area is the place to enjoy shopping and dining close to a historic old water mill. You will be spoiled for choice choosing your weekend diversions in Knoxville, which has a wealth of historic, cultural and outdoor attractions. Just a few of the excellent museums include the East Tennessee History Center, the Blount Mansion Historical House and the McClung Museum of Natural History. Knoxville Museum of Modern Art showcases works by prominent artists from eastern Tennessee, while the Tennessee Theater, with its plush restored 1928 interior, is the perfect backdrop for classical concerts and vintage movies. At the Clarence Brown Theater you have the chance to view full-scale Broadway productions, while the Bijou Theater has perfect acoustics for concerts. Outdoor attractions include World’s Fair Park, Ijams Nature Center and wildlife sanctuary, and the Knoxville Zoo. Children will enjoy touring James White Fort where they can see demonstrations of blacksmithing and spinning and visit The Muse for interactive science and art exhibits. For foodies there is the Knoxville Square Farmers Market and Knoxville walking Food Tours. Nashville is often called Music City USA and is the perfect place to spend a weekend enjoying some Country Music nostalgia. The logical place to start is RCA Studio B, the recording studio that put Nashville on the map, where legendary musicians such as Dolly Parton, Elvis Presley and the Everly Brothers launched their careers. There are several more music-related sites to visit including the Musicians Hall of Fame, the Country Music Hall of Fame and the Johnny Cash Museum, all of which house priceless personal items and music memorabilia. The Tennessee Performing Arts Center is the place to watch a Broadway show or enjoy opera, ballet or repertory. Centennial Park is a popular city green space with various walking and jogging trails, it also houses the Centennial Art Center and a children’s art activity center. You can enjoy boating on Lake Watauga and foodies can find fresh local produce and great meals at The Nashville Farmers Market. Memphis is the birthplace of Rock ‘n Roll and thousands of visitors make a pilgrimage to the city each year to visit the music-related attractions. Sun Studios, built in 1950, became the most famous recording studio in the country when Elvis started his musical career here. After visiting the studio you can take a tour of Graceland, the elegant mansion where “The King” lived for 20 years; the trophy room contains an outstanding display of his musical awards. Also visit the Memphis Rock and Soul Museum and the Blues Hall of Fame. Beale Street is home to numerous restaurants, blues clubs and outdoor concerts. For art and culture, head to Brooks Museum of Art, Dixon Gallery, for an excellent collection of Impressionist paintings, the Children’s Museum and the Levitt Shell open-air theatre. There are many outdoor activities to enjoy at Memphis Zoo, the Botanical Gardens and Shelley Park Farms, where there are several trails and good fishing. Dine at the city's excellent restaurants on your weekend trip.